Maj. Gen. Daniel J. O’Donohue and Sgt. 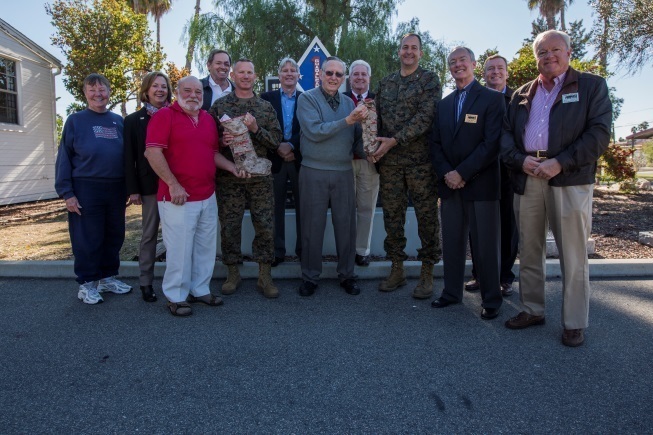 Maj. William T. Sowers stand for a quick photo opportunity following a ceremony with the San Diego Nice Guys charity group, Dec. 16, 2015. During the ceremony, the San Diego Nice Guys presented their annual contribution from the Marine Family Christmas Fund to assist local military families in their holiday grocery shopping. Since 1997, the MFCF has supported thousands of families, primarily those who have forward deployed Marines and sailors of the Blue Diamond division, with generous donations for the holiday season.